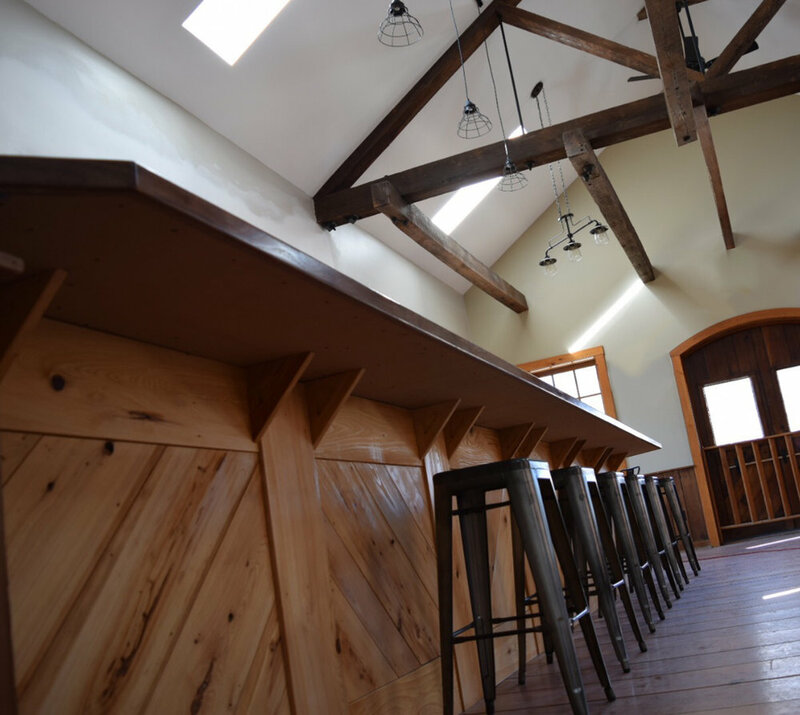 Our tasting room is located on the second floor of our brew house. Come enjoy our brews while sitting with friends or watching a game. If fresh air is more your thing, grab a pint and take advantage of our private green space right outside our doors. Our passion is beer making, so please note we do not sell any food. But you are always welcome to bring a snack or picnic basket with you! We have food trucks on Fridays and most of our events, so if your stomach is growling, don’t hesitate to check out what’s cooking outside! Be sure to check out our Events page for a food truck schedule. Did you say food trucks? Do you fill other breweries growlers? Yes! We believe you will know who's beer is in your own growler.... We might slap a Dew Point sticker on it though. Can I bring other alcohol into your tasting room? No. We are only allowed to have the alcohol we produce in our tasting room and green space. You can bring non-alcoholic drinks though. Outside yes, inside no. The patio is open to dogs if they play well with others, are leased the whole time, and you clean up after them.